Everyone experiences conflict and anger. But Because of lifelong beliefs that these human emotions are "bad" and to be avoided at all costs, few of us know how to handle them well – or productively. Finding ways to harness the inevitable conflicts in your daily life – and put them to positive use – is the focus of the Classic Nightingale-Conant audio program, How to Handle Conflict and Manage Anger. Developed in co-operation with the National Seminars Group, this enlightening program takes an in-depth look at what Denis calls "the two most important issues in human relations" – how to understand one another and how to deal effectively with misunderstandings. Because when you gain that understanding – and can harness it in working with others – your personal effectiveness increases dramatically. Denis begins by discounting the popular misconception that conflict is always a negative. It's an ongoing part of our daily lives that often presents opportunities to develop new skills, improve our understanding of ourselves and others, and grow toward our full potential. And when you follow the system offered in this program, you'll find that taking advantage of these opportunities will become a productive habit. Denis identifies the leading source of conflict as change, a factor we face every day and at a rapidly increasing rate. We're all impacted by both positive and negative changes. And even if the change is something we welcome, it can still cause conflict. How to Handle Conflict and Manage Anger teaches you the skills you need to handle or defuse emotionally charged situations – at home, on the job or anywhere else they occur. And knowing how to act and react positively in times of conflict will put you in control and make you more successful. Conflict and anger are unavoidable in daily life. And the more successful you get, the more conflict you're likely to encounter. How to Handle Conflict and Manage Anger will set you free from the "negatives" commonly associated with these integral parts of life as well as let you cut the cords of fear and self-doubt that can hold you back and get you moving more smoothly toward your goals. I want to learn the skills essential to take what life has to offer and incorporate it into the drive to success in my personal and professional growth. 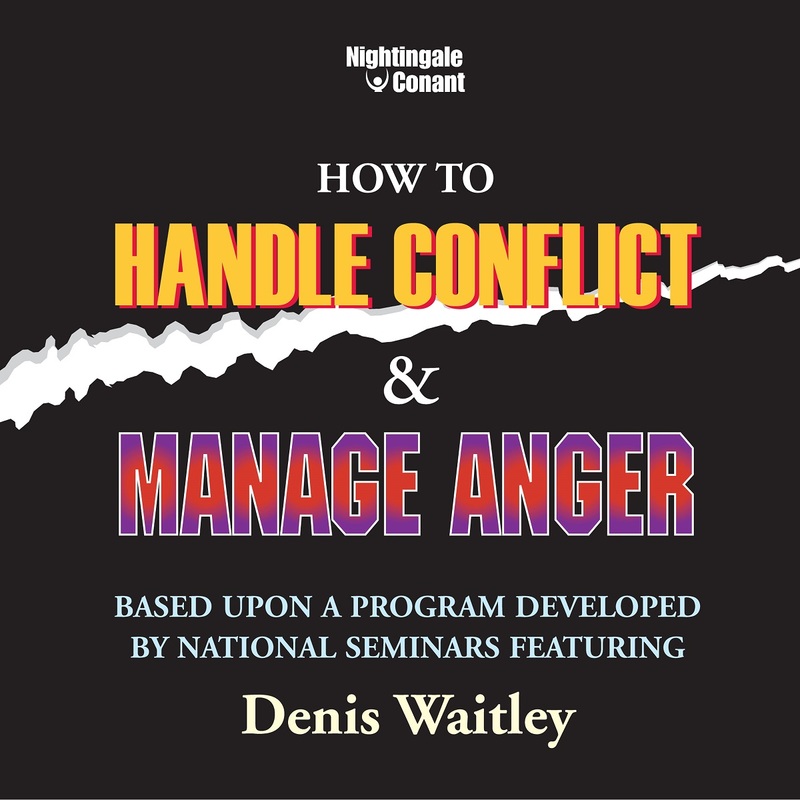 Please send me Denis Waitley's audio program How to Handle Conflict and Manage Anger for the special price below. I can select one of two ways of ordering.